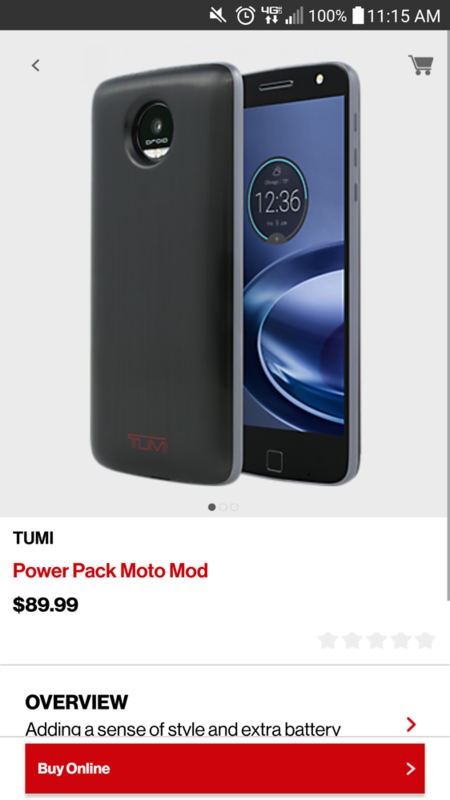 Listed inside of the My Verizon app, pricing for select (not all) Moto Mods has apparently been listed. As mentioned in the headline of this piece, you will need to prepare your wallet, as a couple of the Moto Mods are priced quite high, unsurprisingly. 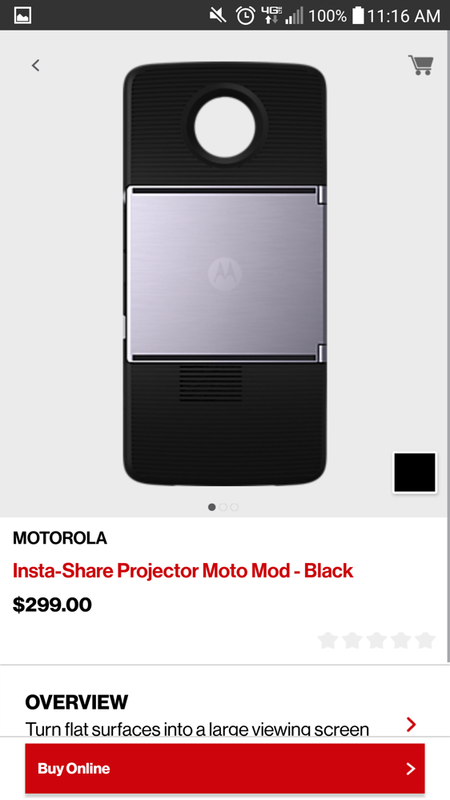 According to the listings, the Insta-Share Projector will be priced at $299, which is quite the expense. 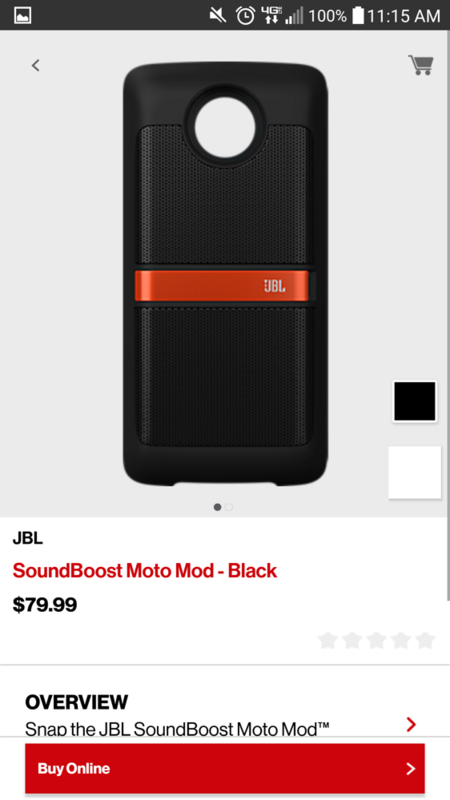 The JBL SoundBoost Moto Mod, the one we demoed last week, is priced at $79, seeming a bit more realistic. 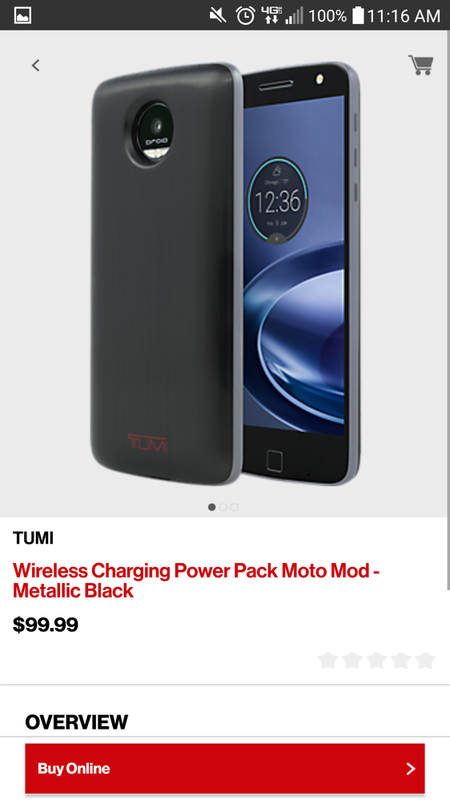 The TUMI battery packs are also priced, with the wireless charging Power Pack listed at $99 and the standard Power Pack listed at $89. For those interested, the Kate Spade Style Shell is priced at $79. At this time, pricing of other shells is not known. We had a feeling that these Moto Mods would not be too cheap, but the $299 projector definitely blows our mind. While the tech itself is pretty sweet, it would be hard to cough up $299 for the ability to project Angry Birds or YouTube videos onto a wall. As for the JBL speaker, that’s priced much better, almost what I would label as cheap. 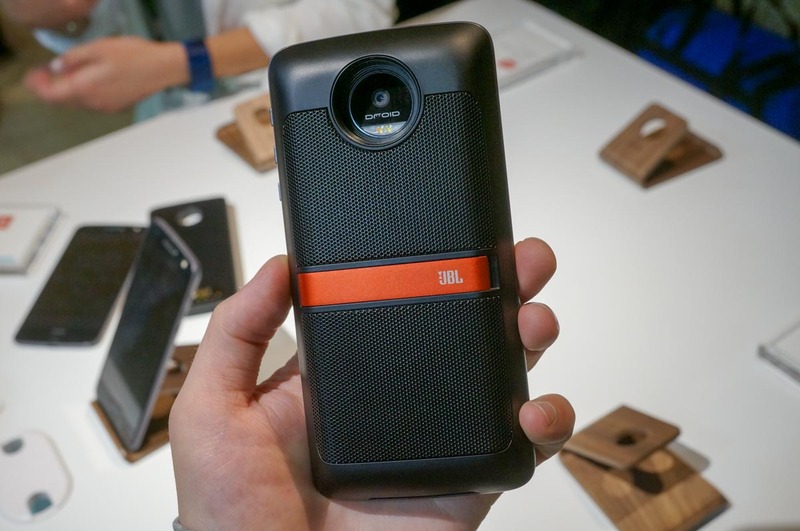 When we demoed the mod at Lenovo Tech World, you could tell that the little speaker packs a mean punch. It seems to me that if you intend on buying a Moto Z or one of the DROID Editions, you would have to be interested in the Moto Mods, too, right? If you are, which one are you going to buy? Do any of these prices scare you away from the Moto Z lineup?